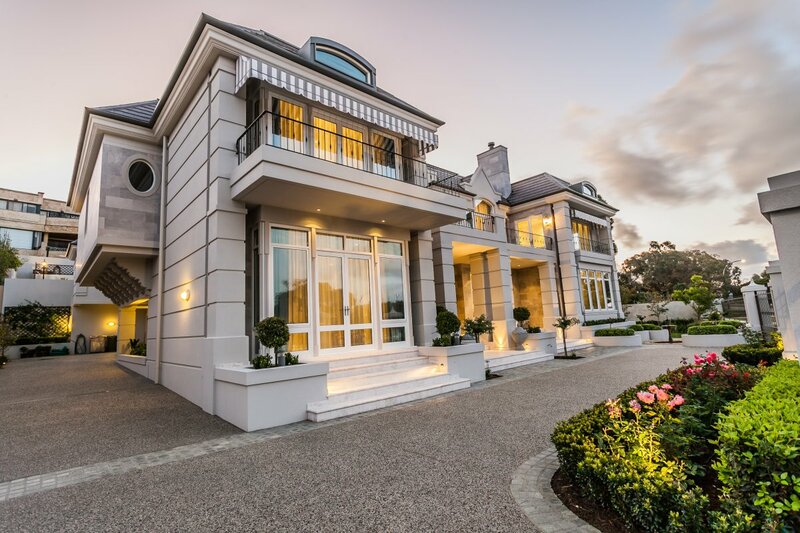 Boasting one of the most prestigious addresses in Perth overlooking the scenic Swan River, this home, recently completed by Pirone Builders has been finished with the kind of detail rarely scene in new homes. 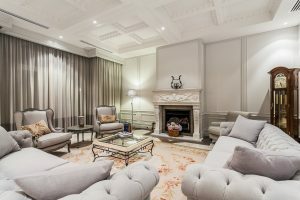 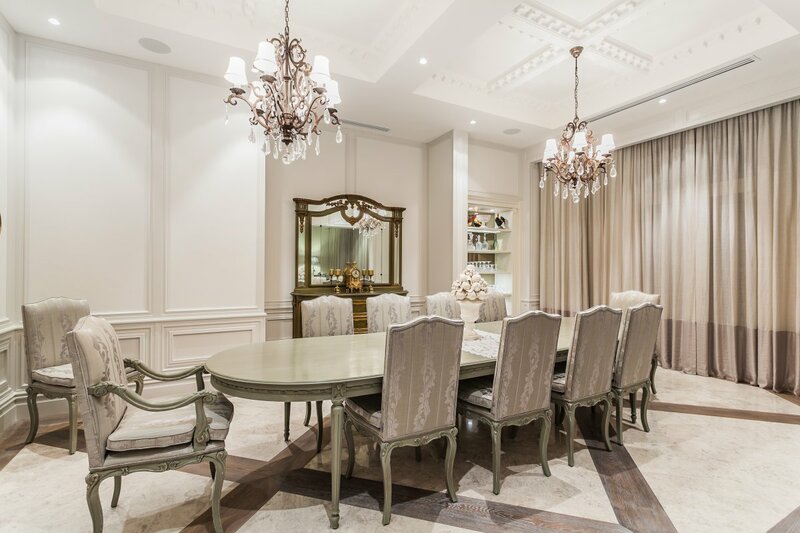 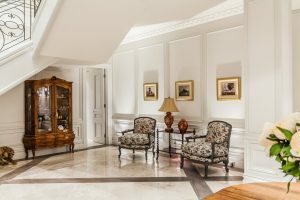 Incorporating over 1000sqm of luxury living, the home showcases an array of quality materials and architectural detail that has been finished with exceptional craftsmanship in a home that is reminiscent of a Parisian manor. 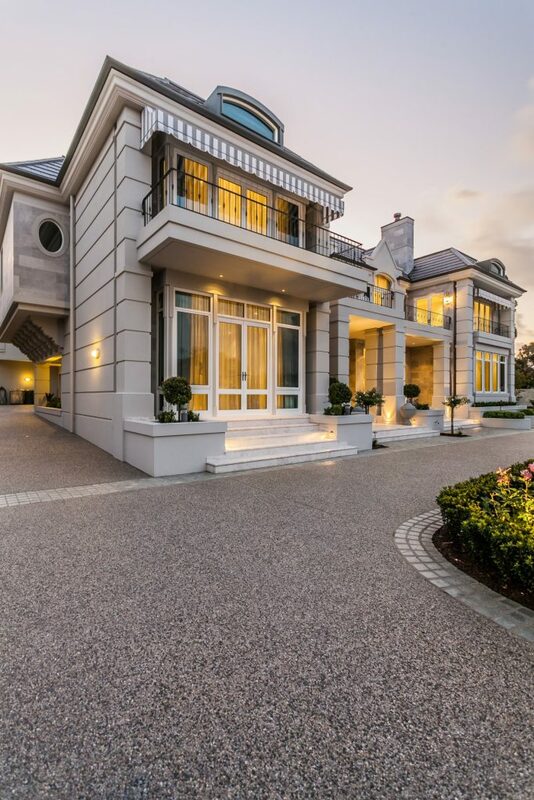 Roof tiles imported from Europe add to the authentic French Provincial appearance. Designed to accommodate the shape of the block, the home is wide at the front and tapers toward the back where the alfresco and pool area have been built into the second level of the escalating building site. 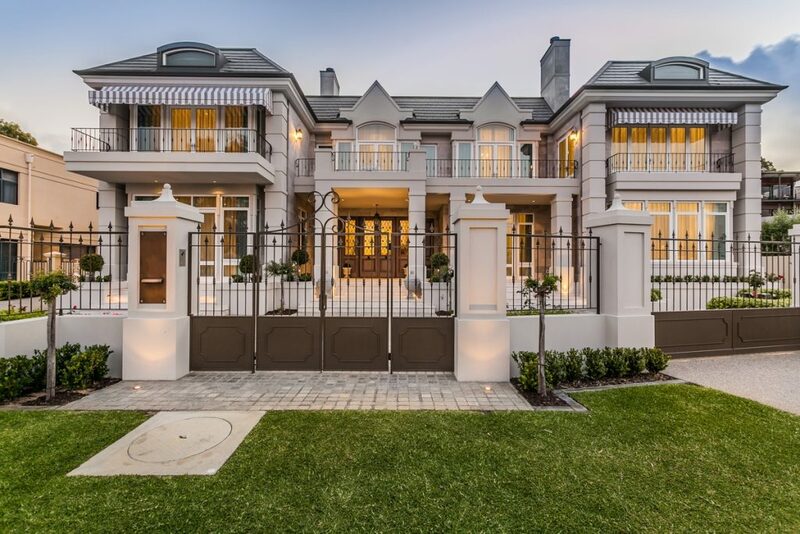 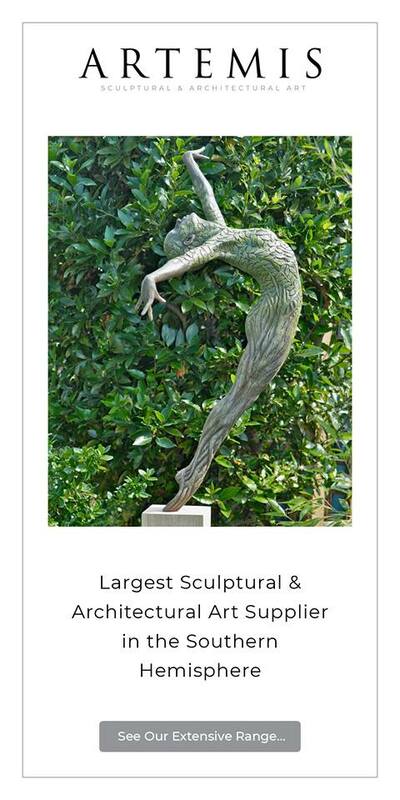 The wide street frontage allows for a commanding front facade and grand entry to the home where visitors pass through wrought iron entry gates to access the circular cobblestone driveway which has been enhanced by large built-in heart shaped planters. 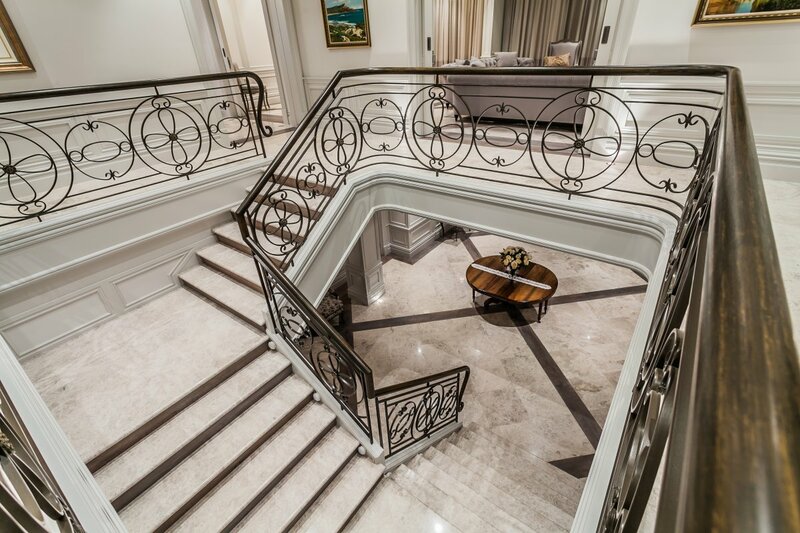 As expected of such an elegant home, the entry foyer is nothing short of grand and sets the tone for the entire home. Gorgeous marble tiling inset with French grey timber detailing graces the floors. 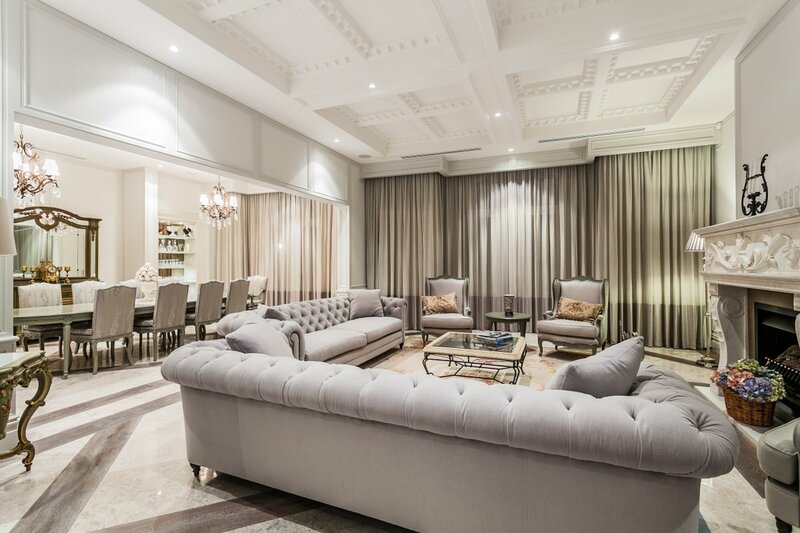 High and intricately detailed ceilings and a neutral palette of architectural elements, finishes and furnishings blend to create a feeling of ultimate luxury throughout. 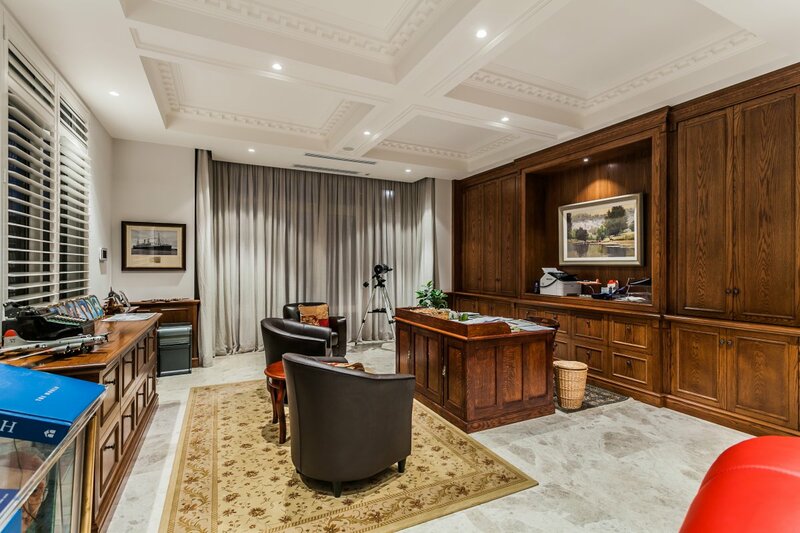 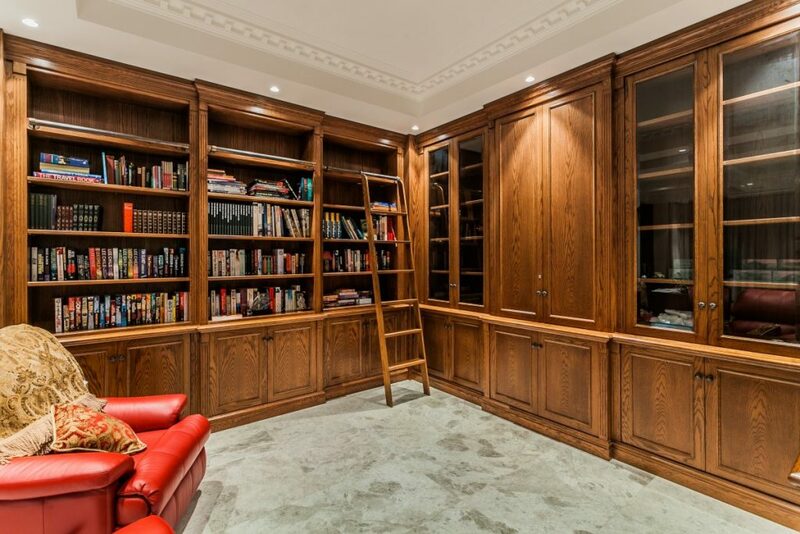 Traditional timber panelling on walls was handcrafted by Pirone Builders as was the polished timber panelling on the elevator interior, due to the intricacy and detail, carpentry alone on this project took over twelve months to complete. A graceful marble staircase with custom-designed timber and wrought iron balustrading lead to the second level where the main living areas are located. 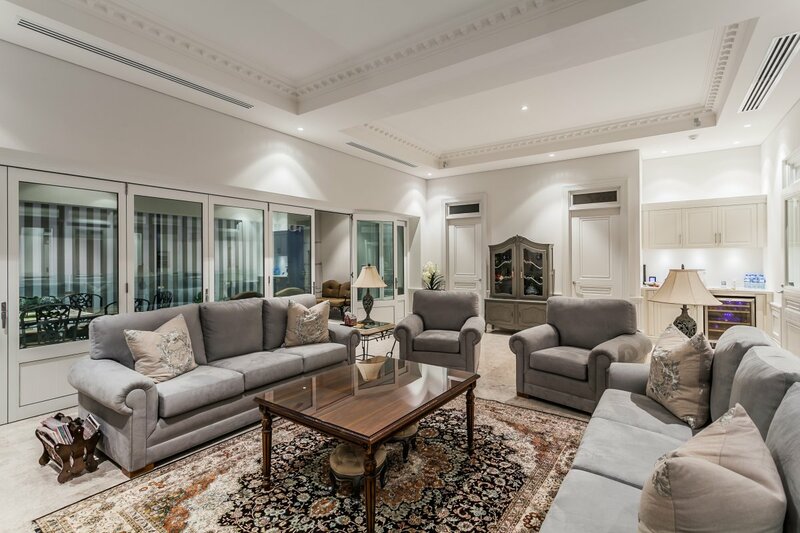 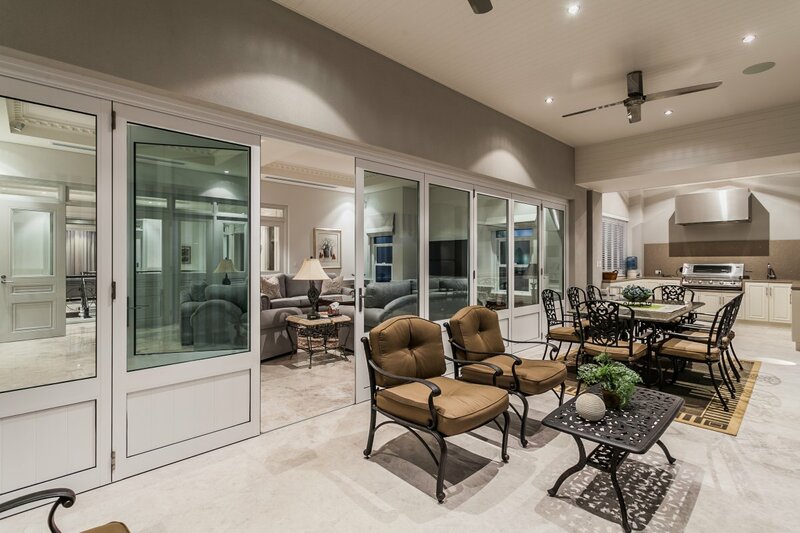 The open plan formal living and dining rooms are again majestic in proportions, with French doors that lead onto outdoor terraces, providing spectacular views over the Swan River. Consistent with the European styling, all doors have been custom made with feature windows above and the home features two working fireplaces with intricately detailed marble surrounds. 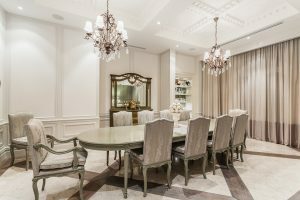 The huge kitchen includes a complete butler’s pantry, marble benchtops and yet another intricate pattern of marble and timber flooring. 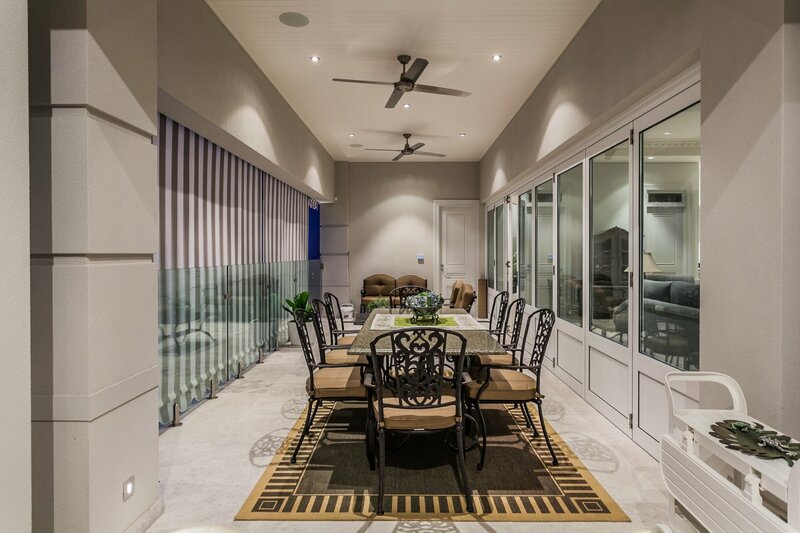 The Lacanche oven was imported from Europe to add authenticity to the kitchen. 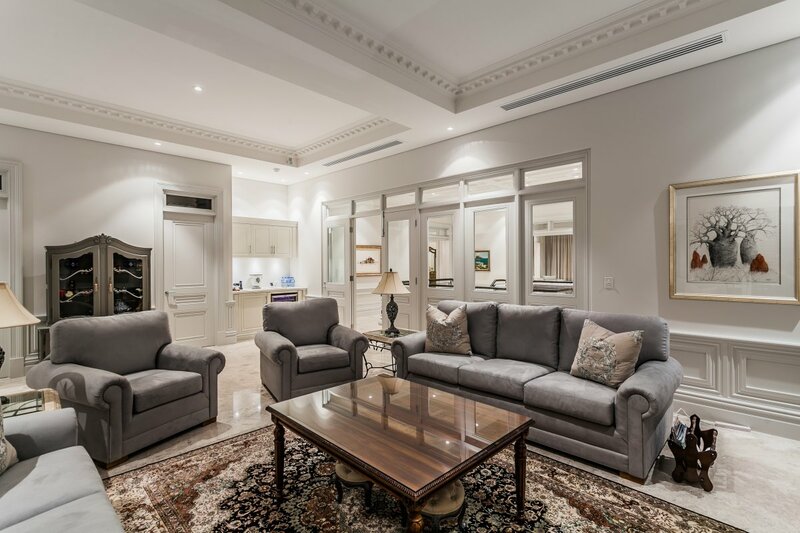 Also located on the upper floor is an opulent master suite which includes a luxurious en-suite and a separate dressing room with an abundance of purpose built storage. 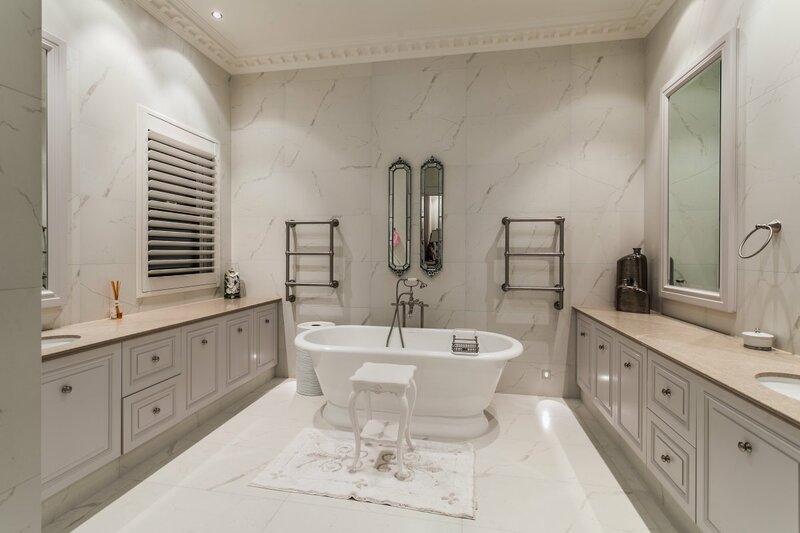 The ensuite has been finished floor to ceiling in stunning Carrara marble with a free-standing bath and traditional tapware plus his and her vanities. 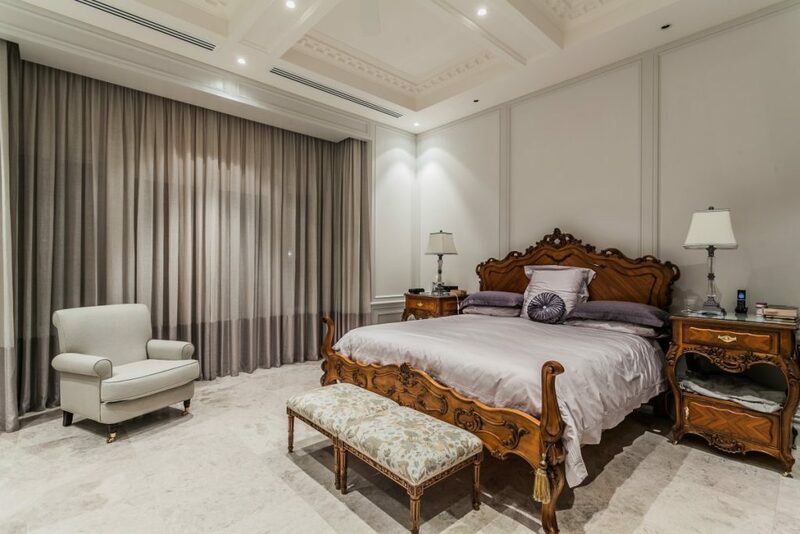 Secondary bedrooms and a guest suite are situated on the lower level. The detail that continues on the exterior of this beautiful home ensures that it will remain a classic masterpiece and will not date. 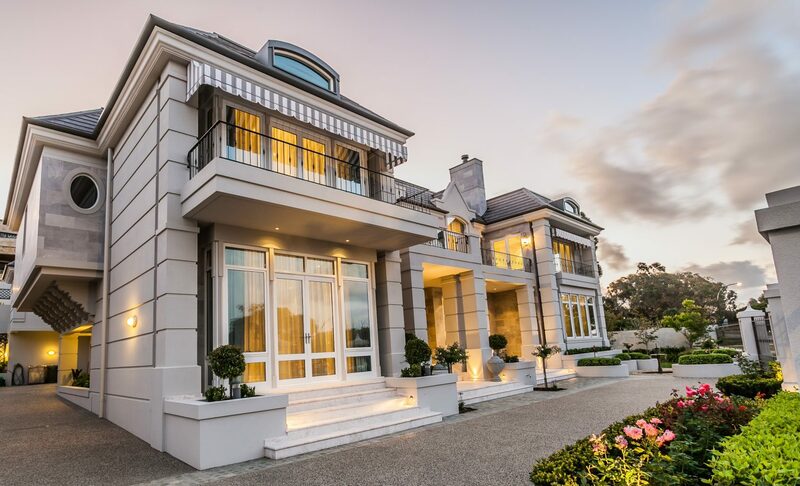 Detailed ‘coining’ on the render, and architectural mouldings added to a cantilevered section of the home add to the European influences as does the ‘provincial’ roof tiles that were imported from France. 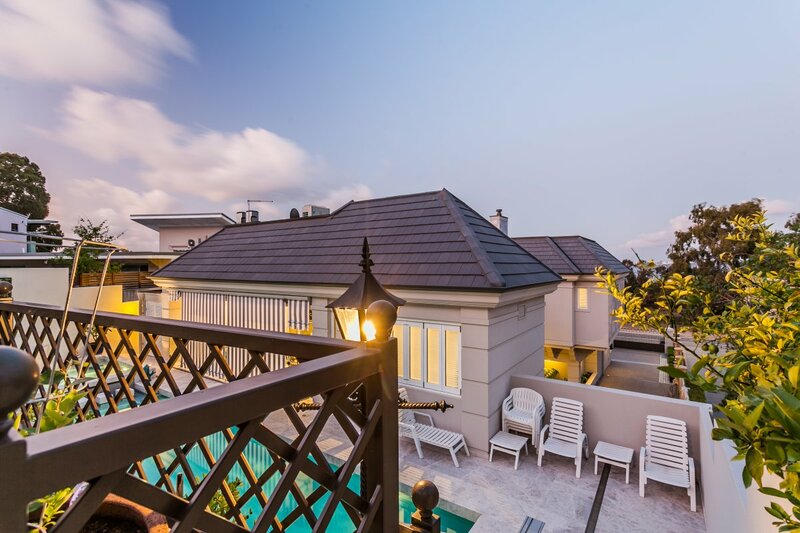 Travertine tiling used extensively around the pool and alfresco area has also been used as feature cladding on walls and chimneys. Utilities such as solar panelling, hot water systems and air conditioning units have all been cleverly concealed in the roof line so as to not detract from the appearance of the home and a purpose built room has been included on the upper level, specifically for roof access. As you may expect, this home is also extensively wired with intercoms, security cameras and other modern conveniences. 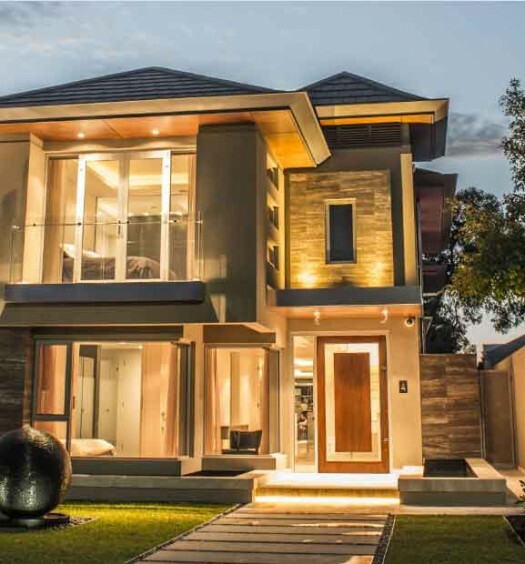 Overall this is a magnificent showcase home that confirms the unquestionable reputation of Pirone as one of Perth’s premier luxury home builders. 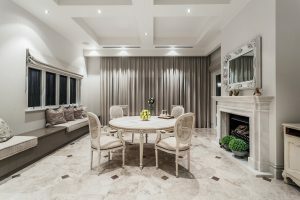 The exceptional attention to detail and quality of craftsmanship that Pirone are renowned for is evident in the cellar and a large library which have been fitted with custom built floor to ceiling cabinetry.